The Board of Adjustment (BOA) was created by the Eastland City Commission to make decisions on appeals to the Zoning Ordinance of the City as it exists now or in the future by amendments. The BOA consists of five (5) members who reside or have a vested interest (Business, Home or Property) within the city limits of the City of Eastland. Board members are recommended by the Mayor to the City Commission for appointment. Members serve no more than three (3) consecutive terms of two (2) years. Three (3) alternate members may also be appointed by the Mayor and City Commission to serve in the absence of one or more regular members. Alternate members serve for two years. One alternate board member shall also be a member of the Planning and Zoning Board. Board meetings require a quorum of 75%, or 4, of the regular voting members. The Board shall act by resolution, on the affirmative vote of at least 75%, or 4, of the members, except as otherwise stated in the by-laws. The Board hears and decides appeals where it is alleged there is error of law in any order, requirement, decision or determination made by the building official in enforcing the Zoning Ordinance. 1. Permit the extension of a zoning district where the boundary line of a zoning district divides a lot or tract held in a single ownership at the time of the passage of the Zoning Ordinance. 2. Interpret the provisions of the Zoning Ordinance in such a way as to carry out the intent and purpose of the comprehensive plan, as shown upon the maps fixing the several zoning districts, accompanying and made a part of the Zoning Ordinance, where the street layout on the ground varies from the street layout as shown on the maps. 3. Permit the erection and use of a building or the use of premises for railroads or public utility purposes. 4. Permit the reconstruction of a non-conforming building which has been damaged by explosion, fire, act of God or the public enemy, to the extent of more than sixty percent (60%) of its fair market value, where the Board finds some compelling necessity requiring a continuance of the non-conforming use and the primary purpose of continuing the non-forming use is not to continue a monopoly. 5. Waive or reduce the parking and loading requirements in any of the zoning districts whenever the character or use of the building is such as to make unnecessary the full provision of parking or loading facilities, or where such regulations would impose an unreasonable hardship upon the use of the lot, as contrasted with merely granting an advantage or a convenience. 6. Permit land within three hundred (300) feet of a multiple dwelling to be improved for the parking spaces required in connection with the multiple dwelling, but only when there is positive assurance that such land will be used for such purpose during the existence of the multiple dwelling. 7. To determine whether an industry should be permitted within the “LI” Restricted Industrial and the “HI” Industrial Districts because of methods by which it would be operated and because of its effect upon uses within surrounding zoning districts. 1. Permit a variation in the yard requirements of any zoning district where there are unusual and practical difficulties or unnecessary hardships in the carrying out of those provisions due to an irregular shape of the lot, topographical or other conditions, provided such variation will not seriously affect any adjoining property or the general welfare. 2. Authorize upon appeal, whenever a property owner can show that a strict application of the terms of the Zoning Ordinance relating to the use, construction or alterations of buildings or structures or the use of land will impose upon him unusual and practical difficulties or particular hardship, such variations of the strict application of the terms of the Zoning Ordinance as are in harmony with its general purpose and intent, but only when the Board is satisfied that a granting of such variation will not merely serve as a convenience to the applicant, but will alleviate some demonstrable and unusual hardship or difficulty so great as to warrant a variation from the comprehensive plan as established by the Zoning Ordinance, and at the same time, the surrounding property will be properly protected. In considering all appeals and all proposed exceptions or variations to the Zoning Ordinance the Board shall, before making any exceptions or variations from the Zoning Ordinance in a specific case, first determine that it will not impair an adequate supply of light and air to adjacent property or unreasonably increase the congestion in public streets, or increase the danger of fire or endanger the public health, safety, comfort, morals, or welfare of the inhabitants of the City of Eastland. 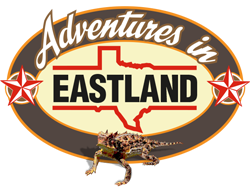 For more information on the City of Eastland Board of Adjustment, contact Bill Dolen at 254-629-8321, Eastland City Hall at 113 E. Commerce St., or by email to: planning@eastlandtexas.gov.